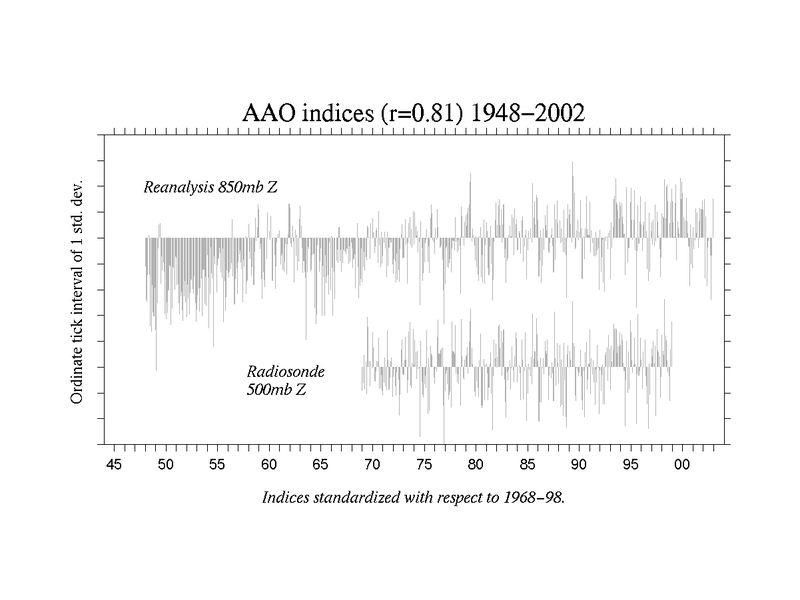 The AAO is calculated with PC analysis, and this analysis yields a large set of modes, of which the first 3 explain 33, 11, and 9% of the variance, respectively. 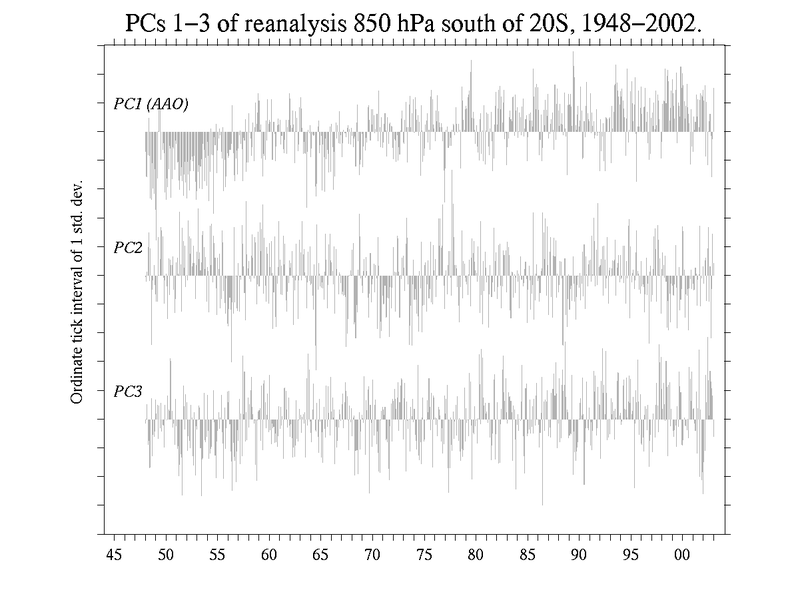 The spatial patterns and time series of each of these modes are shown in the next figure. The spatial maps are plotted as correlation maps, with the value at each grid point given as the correlation coefficient of the time series at that grid point with the PC for that mode. 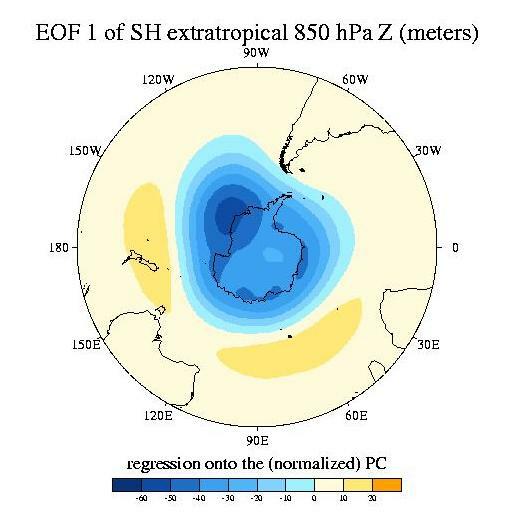 The second EOF is characterized by height anomalies of one sign centered at 50S,120W and weaker anomalies of opposite sign centered over the pole. 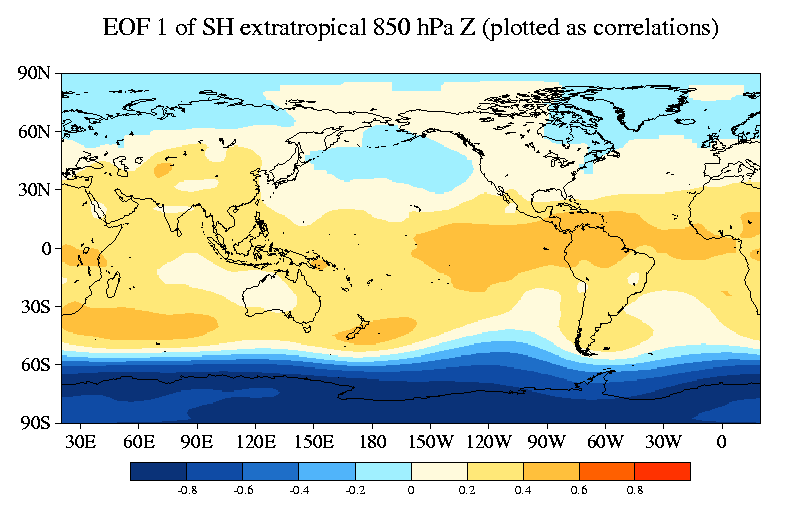 The third EOF is characterized by zonal wave number 3 with centers of action over each of the oceans at 50S. A netcdf file is provided of the digital values for the above figure. 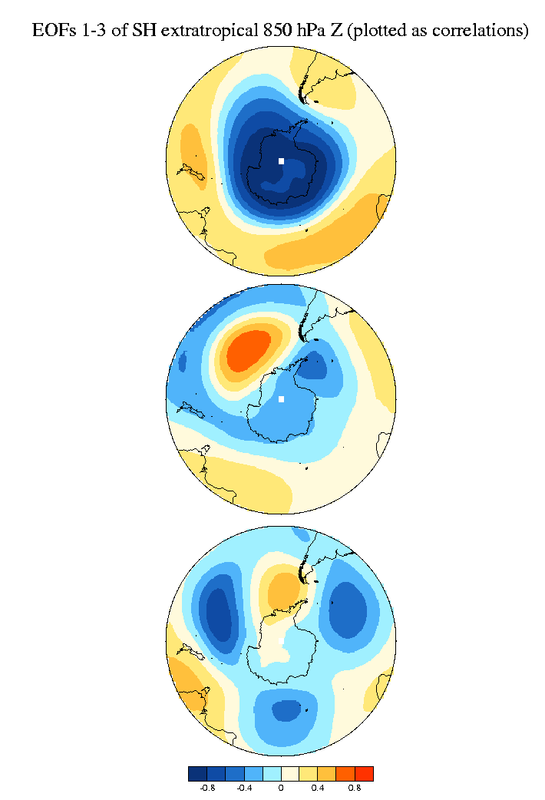 (There are 6 maps: EOF1 correlation, EOF1 regression, ... read the history variable). 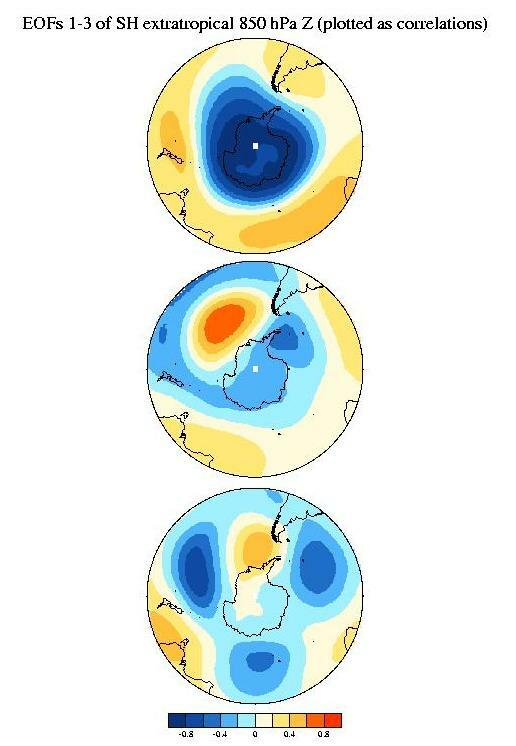 The above plots are of the first 3 principal components. Only the AAO exhibits a strong trend. 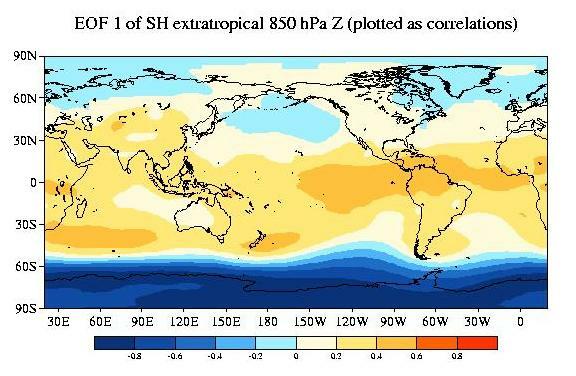 Thompson, D. W. J., and S. Solomon, 2002: Interpretation of Recent Southern Hemisphere Climate Change. Science, 296, 895-899. 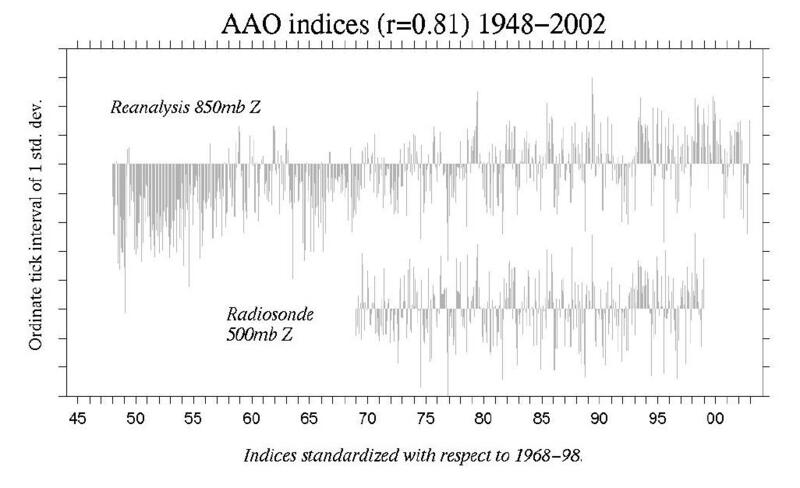 Data: All of the time series are standardized with respect to 1948-2002. 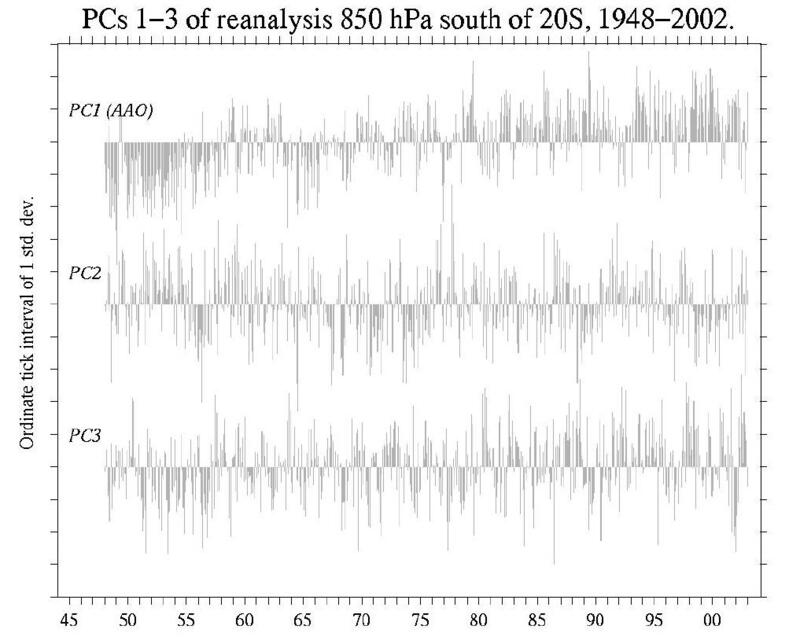 The PC 1-3 time series as a 5-column table: year, calendar month, pc1 (AAO), pc2, and pc3. PC1 (AAO) as a one-column table. PC1 (AAO) as a table in year-month form.